The media has paid a lot of attention over the past few years to the apparent unwillingness of millennials to buy homes. The statistic that one-in-three 18-to-34-year-olds lives with their parents (representing a throwback to the 19th century) tends to be wielded as evidence that this generation is living in a sustained state of adolescence, eschewing responsibility and the trappings of adulthood. And those that do live on their own choose to rent, rather than buy—the result of paltry savings (drained by student debt) and an aversion to being tied down. Most millennials are first-time homebuyers, which means any agent aiming to attract new clients has to get in front of this demographic. There are a number of ways agents can achieve better visibility with first-time home buyers. An Experian study found that millennials spend more time on their phones than any other age group. 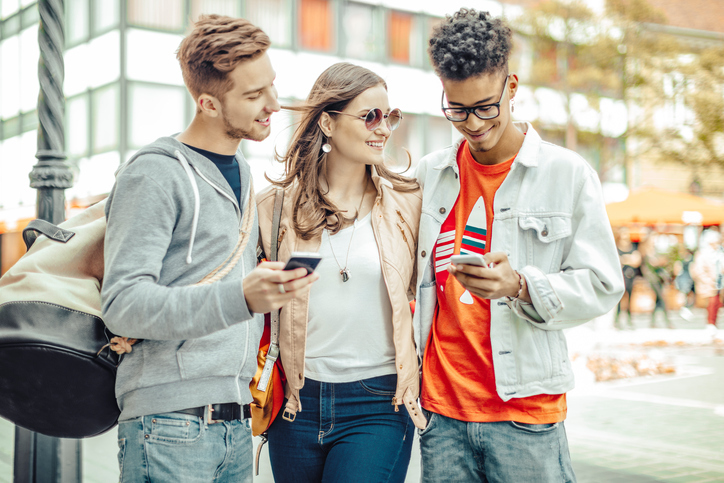 Whether checking email, chatting with friends, hailing cabs, ordering food, or playing games, millennials use their phones for just about everything—and real estate is no exception. To get in front of first-time buyers, real estate professionals need a strong mobile presence. Prospects and clients should be able to browse listings on mobile, complete with high-quality images and detailed information, communicate with agents, and access documents. Millennials are independent and known for their proclivity towards self-service. Unlike older generations, which tended to value human-powered service, millennials would rather do things on their own using technology. They like to conduct their own research and remove middlemen as much as possible. To some agents, this might seem threatening, but it shouldn’t be. Agents still have a valuable role to play, but they will attract attention from first-time buyers more effectively if they give them the tools to help themselves. This entails making information readily available across channels. Prospects should be able to peruse listings on their own, find answers to common questions, and digitally contact agents with queries. Millennials are a highly visual generation. Thanks to apps like Instagram, YouTube, and Snapchat, images are critical for attracting attention and engagement whatever the product. That said, this is especially true for a field like real estate where how a property looks is one of the greatest factors in making a decision. Driving visibility with first-time buyers requires including well-composed, professional looking photos and videos into every listing. Statistics show that people respond more frequently to video than they do to text, so it’s also a good idea to integrate videos into email campaigns and on homepages. Millennials spend a lot of time on social media, and so gaining visibility with first-time buyers requires a strong social media presence. Facebook, Twitter, Pinterest, Instagram, Tumblr, and Snapchat are all effective channels for reaching this generation. However, it’s not enough to simply set up an account. Each social network has a distinct culture and type of content it is best suited for, and failing to get this right could alienate first-time buyers. For example, Twitter can be a great way for agents to participate in discussions about relevant news stories, real estate trends, and local happenings, while Instagram is a powerful tool for cultivating a brand identity and connecting your listings with a lifestyle. Follow the 80-20 rule, meaning keep 80 percent of your posts on topics of interest and 20 percent about your business specifically. Don’t hesitate to think outside of the box. For example, agents can use Facebook Live to live-stream open houses. Whatever channels you go for, make sure your logo appears on all social media sites and strive to be “authentic.” Millennials place a premium on authenticity, so be casual but consistent. A new generation of homebuyers requires leveraging a new generation of tools. First-time buyers represent a goldmine of new business for real estate professionals who know how to get seen. The agents that come out ahead will be those who know the truth—millennials are ready and willing to buy homes, but they want to do it on their own terms. Matthew Murphy is the Chief Marketing Officer of Chime Technologies. Previously, Murphy was the Chief Marketing Officer & Co-Founder of Lemon.com, a leading mobile wallet solution (Acquired by LifeLock); General Manager of Bling Nation, a provider of mobile payment services; and the CMO at Chegg, the leader in textbook rentals. Murphy was also the head of Advertising & Media at E*TRADE Financial and has won numerous awards for his work, including a Clio, Effie and Stevie Award. Hey, Matt Murphy, You have shared such a good post. Thanks! Great stuff Matt and thank you! I’m a Realtor with Berkshire Hathaway in the bay area and first time buyers are crucial to my business and not just for the obvious reason however, there’s nothing more fulfilling to me then helping first time buyers find their first nest/sanctuary/safe haven! Great thanks again!